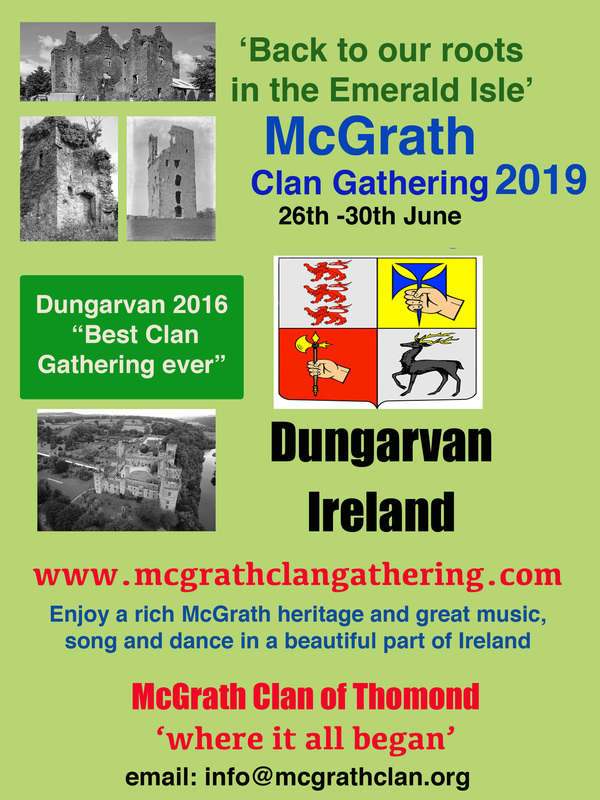 As planning continues for the McGrath Clan Gathering next June, the pieces are starting to fall into place. We have secured the services of a Genealogist for the event, so that if you are interested, you can get some help with tracing your family tree. What we propose is that people contact the genealogist ahead of the visit and then meet over the weekend. A small fee will be charged by the genealogist for her services/ consultations.